Knowing how to remove urine stains and smell from a mattress can help you save a mattress that you might otherwise dispose of. The following advice applies equally to children, pets or incontinent elderly people peeing on the bed. You may have to act fast, because otherwise the stain might set into the mattress and create a smell from its interior that is difficult, if not impossible, to remove. There are several reasons for urinary incontinence, including diabetes, a urinary tract infection, an imbalance of the anti-diuretic hormone (ADH) that slows down your nocturnal urine production and even stress can lead to bedwetting. Pets are another big issue – and a potentially smelly one for humans! There are various ways to remove urine stains and smell from your mattress. Here are some of the more effective methods that can be used for dry or wet stains. If the stain is fresh, then it is very important to start the cleaning process immediately – or as fast as you can after the event. Important Advice: Before we start, it is important that you test all solutions and proprietary cleaners on a small area of your mattress that is hidden from sight. The solutions and products we recommend very rarely have any harmful effect on mattress fabrics and patterns, but you are better testing it first. Once you have done that, and have found that the solution is safe for your mattress (as we expect it to be), you can continue with the advice below. The same is true for borax, enzymatic cleaners and any other cleansers you use. Also, have gloves available (rubber or vinyl) and safety glasses or goggles to protect your eyes. Swimming goggles will be sufficient in most cases. a) Before you start you will need a spray bottle, a funnel, a measuring cup, and a tablespoon. Most people will have a tablespoon in their kitchen, but it pays to have the other items to hand should you ever need them. Spray bottles and funnels have many uses, and who knows when a measuring cup will come in handy! b) Now you need the cleaning materials. You cannot simply wash up pee with washing up liquid and water. You will need hydrogen peroxide (3%), sodium bicarbonate (or baking soda) and dishwashing liquid you use when hand washing your dishes. Some lavender essential oil may also come in handy – particularly to mask smells. It’s all very well being instructed to get these materials together, but when you need to act fast you may not have the time to go shopping for them. 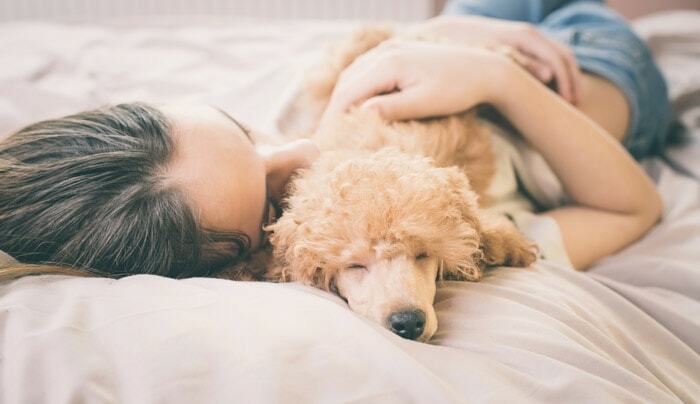 Most people with young children, pets that are allowed in the bed or elderly relatives subject to incontinence should get prepared in advance. These items are chemicals that do not expire after a sell-by-date, so you can store them for as long as you want for use in an emergency. c) Make up the cleaning solution when you are ready to start cleaning the mattress. The mixture works best when freshly made, so never make up some in advance – it will not work as well. Mix together 8 ounces hydrogen peroxide (237 ml), 1.6 oz (45 g) baking soda and one half teaspoonful of dishwashing up liquid (not the liquid used in dishwasher machines). Add them in the stated order. 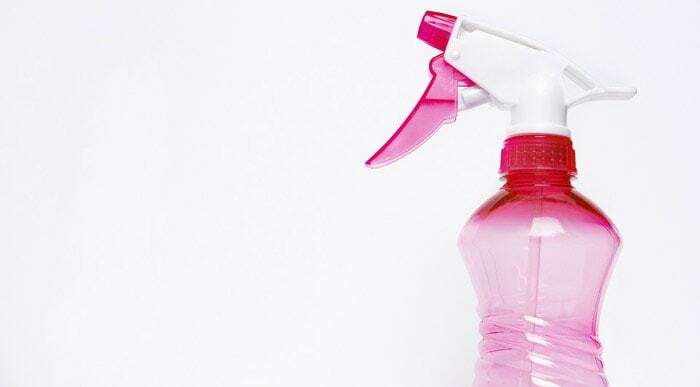 d) Pour the solution into a spray bottle (or mix it up in the spray bottle) and start cleaning. Do not shake the mixture or it will generate too many bubbles to be useful. Instead swirl it gently around to mix the ingredients together. Wear rubber gloves in case you get the solution on your hands. It is not particularly dangerous but can cause irritation to sensitive skin. If the stain is wet, first blot it with paper towels. If the stain has dried out or is partially dried after blotting it, then spray some white vinegar over it then blot dry. If there is a nasty smell, as there can be with cat or dog pee, then add some essential oil to the mixture. Lavender oil is effective. Do not try to rub the solution into the fabric. This could make the stain spread, giving you another problem. Now spray your solution over the contaminated area, overlapping it by at least a quarter inch all round. Leave it to soak for at least 10 minutes. If the stain was dried in or is particularly high-colored or foul-smelling, then let it soak up to 20 minutes. Now blot it dry with paper towels or a clean white cotton cloth. Thicker kitchen towels are better than general purpose tissues. Repeat this process if the stain is still there. Do not try to rub the solution into stubborn stains – that may make the problem worse. Treat it gently with an additional solution. Blotting will lift stains off while rubbing will simply spread them over a wider area. A major benefit of using white towels, whether paper or fabric, is that you can see the stain being lifted and transferred to the towels. Also known as sodium borate or tetraborate, borax is a white, water-soluble crystalline mineral. It possesses insecticidal, antibacterial and anti-fungal properties. Borax is commonly used in household laundry and cleaning products, powdered hand soap and many other household cleansers. It is available in hardware stores and many supermarkets. Dampen the Stain: If the stain has dried out then dampen it with water first. Do not spread it by flooding it with water, but you need the borax to penetrate into the stain. Use Gloves if You Prefer: You can use a rubber or vinyl gloves when handling the borax if you prefer. While not being dangerously toxic, borax can irritate sensitive skins, and gloves will protect you from irritation. However, be sure not to breathe in the powder since borax could irritate your respiratory system. Apply the Borax: Sprinkle the stained patch liberally with borax. Rub it into the stain, making sure you cover its entire area. Make sure you rub it well in for maximum effect. You could alternatively make up a paste of borax and water and rub that into the stain then leave to dry as below. Allow the Borax to Dry: You must allow the borax to dry completely. You could take your mattress outside on a sunny day, or use a fan in the bedroom to dry it out, but make sure the doors and windows are open to allow the water vapor to leave the room and not condense on any surfaces. Vacuum the Mattress: There will likely be a dried borax residue to remove depending on how much borax you used or the extent of the urine contamination. Vacuuming removes this. Even if you cannot see any dried powder on your mattress, it is well to vacuum it just in case. Replace the Mattress: You should now be able to put the mattress back on the bed. If the mattress is flippable, make sure you have the cleaned area on top. This is just in case it has not been dried completely which may lead to mold if the damp patch (even if just very slightly damp) is lying on the base of the bed. NOTE: Borax is a powerful alkaline pesticide and should be handled with respect. While reported issues are fairly few, take note of our answer to FAQ #1 below. If your contamination is from pets such as cats or dogs, then you may find it difficult to remove the smell completely. There may be a lingering odor that you cannot completely eliminate. The problem here is the range of substances that can not only cause the stain, but also a smell that is often designed by nature to persist in order for animals to mark their territory. The substances that cause these smells are intended by nature to persist even in inclement weather. You may find the odor almost impossible to remove with ordinary cleansers. The organic chemicals that make the smells can be offensive in even the tiniest of amounts. They are next to impossible to remove completely with regular cleansers, but they can be eliminated by destroying the substances that cause the smells. The way to destroy such substances is to use an enzymatic cleaner. This type of cleaner eats away at the organic substances that cause the smell and the stain and removes them naturally. Click on the link above for our recommended enzymatic cleaner. It can clean and remove the odor of urine, drool, poop, vomit, spilled food and any other types of smelly organic substances that are contaminating your mattress – or your carpet, furniture or any other area of your home. You can even use it on clothing. 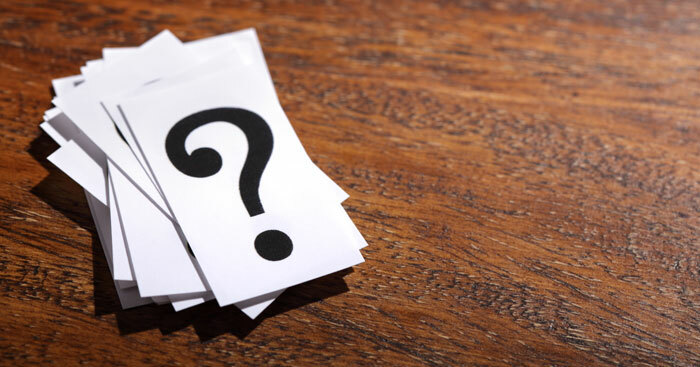 Here are some of the more frequently asked questions we receive regarding cleaning urine and other stains from a mattress. 1. What do I do if I get borax powder on my hands or in my eyes? Borax is a good natural cleaner and is not particularly dangerous although it is an insecticide. It is alkaline, as is baking soda, and you should take steps to avoid getting it on your skin or in your eyes. You should wear gloves when using borax and preferably wear goggles or glasses when working with borax powder. It should not do any great deal of damage but can irritate your skin and eyes. If you get borax on your skin, you should wash it off with clean water. If you get it in your eyes, use an eyewash to clean it out or irrigate your eyes with clean water. There is evidence that borax ingestion can harm an unborn child, and while that seems to be only when ingested in larger quantities, pregnant women should avoid its use: go for methods 1 or 3. The substance is generally just as safe for men to use as using sodium bicarbonate (baking soda). 2. Will there be a stain left over after using these cleaning methods? There might be a stain, though this could be faint. Much depends on the cause of the staining, its extent and how long the mattress has been stained for. Any visible staining, even if cleaned, will generally be sufficient to invalidate your warranty. Most mattresses come with a warranty against material or manufacturing defects. However, if there are any stains visible, then the warranty will usually be invalid. It will not be able to be resold. The sooner you deal with a stain the more likely it is that you can remove all signs of it. 3. Do these mattress cleaning methods leave the mattress sanitary and germ-free? Generally, yes – but only the cleaned area. Borax is a commonly used insecticide and biocide, while baking soda and hydrogen peroxide will also kill bacteria and other organisms. Even if there is still a slight indication of the stain after cleaning, it should still be germ-free. Enzyme cleaners (also known as enzymatic cleaners) will also remove germs and molds. 4. Will these methods clean up bloodstains? A lot depends on whether or not the blood is fresh or dried out. Bloodstains are easier to remove if they are fresh. First try a mixture of equal parts starch, hydrogen peroxide and salt (household salt is fine). Rub this into the stain then leave it to dry. Once dried, clean it off. If the stain is old and dried in, dampen it with some water first – dampen it, don’t flood it! Another option for bloodstains, fresh or dry, is an enzymatic cleaner. This should break down the blood proteins making the stain easier to clean. Once a stain has dried out it is more difficult to remove. However, the above suggestions should solve your problem. Once an application has dried out, you should be able to vacuum or brush it off the mattress. 5. After I have applied the cleaner what do I do to remove the stain? Do I rub the cleaner in or just leave it? Enzymatic cleaners can be sprayed onto the stain or if you don’t have a spray, dab it on with gloves and some cotton wool. You can rub it in to get it into the fabric, then dab it with tissues to absorb the moisture and when fully dried you can vacuum the area and repeat if necessary. These are the three main ways of removing urine stains and smell from a mattress contaminated with human or animal urine or any other odiferous substances. Some people use a waterproof mattress pad to protect their mattress from such stains rather than rely on cleaning the mattress. If your mattress is still within warranty, then even a slight stain can invalidate that. It may be worth considering a mattress pad in order to maintain your warranty or even your sleep trial period with a new mattress. You can find a selection of our top mattress pads and mattress toppers here. However, nothing is ever perfect, and the above tips on how to remove urine stains and smell from your mattress are well worth remembering. It may be possible to remove a stain in a way that helps you to keep your warranty, but if not, you will at least be able to make your mattress look clean and smell fresh. Test in Advance of the Real Emergency: The quicker you tackle the contamination the more likely you are to remove it without a trace. Many prefer to use a mattress topper or pad, particularly where it seems likely for an accident to occur. However, the above cleaning techniques should enable you to remove staining and make your mattress look new. If you have an old mattress, or piece of material even, you could use that to see how effectively this advice on how to remove urine stains and smell from a mattress gets your mattress back to new.